This battery is for camcorder use only. It's "thicker" design does not allow it to slide into camera battery compartment. 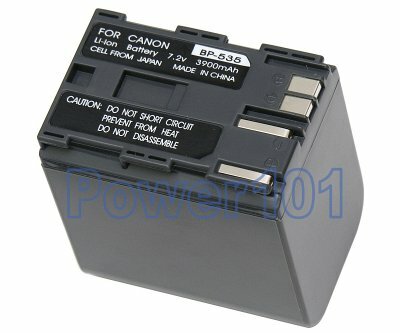 This battery is compatible with Canon ZR10 ZR20 ZR25 ZR30 ZR40 ZR50 ZR60 ZR65 ZR70 ZR80 ZR85 ZR90, Optura 10 20 50 100. Please check your camcorder with our camcorder battery finder. 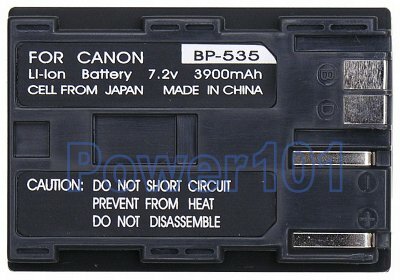 This battery can be charged with any charger compatible with Canon BP-511, BP-522, BP-535 batteries or directly on the camcorder.